Wax’o Paradiso would like to acknowledge the traditional owners of this land, the Wurundjeri people of the Kulin nation, and pay our respect to elders past, present and emerging. Sovereignty never ceded. It’s our favourite day of the year again! 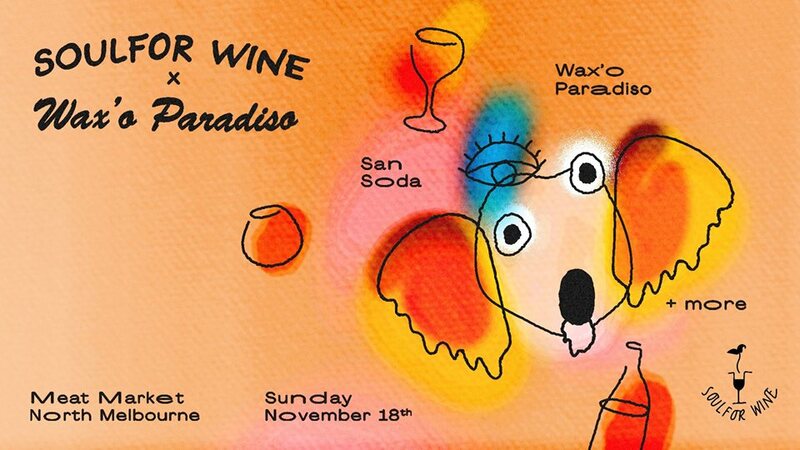 Now the stuff of legends, Wax’o Paradiso and Soulfor Wine are teaming up once again to bring you our annual food, music and of course NATTY PARTY! From 12:30PM a full tasting ticket will grant access to a veritable spread of low-intervention wines from the world’s best producers, and from 4:30PM we’re transforming North Melbourne’s iconic Meat Market building into our full-scale psychedelic discothèque, b4b with our honorary Berlin possum San Soda! All day Soulfor chefs Josh Murphy and Dave Moyle will be joined by Tassie superstar (and Wax’o royalty!!!) Ali Currey-Voumard (Agrarian Kitchen) and this year we’re beyond stoked to welcome Harry Lester (Le Saint Eutrope, France). Leave your sulphites at the door! *This event, especially the tasting, is subject to capacity, don’t snooze. Chic’s iconic smash hit “Le Freak” receives an Oliver Heldens makeover on 40th anniversary of the song hitting #1 in the US!